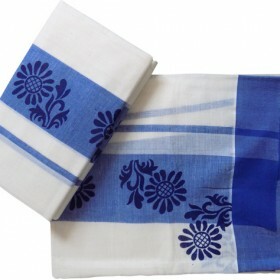 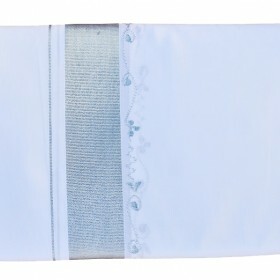 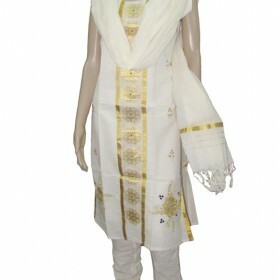 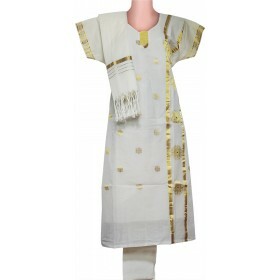 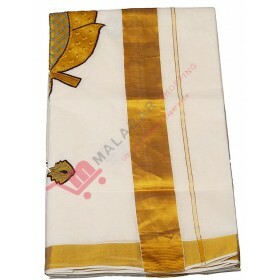 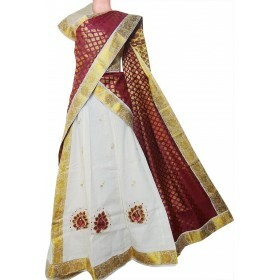 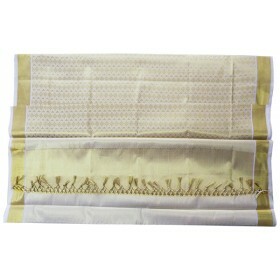 latest kerala mundu for men worked with Silver broad horizontal brocade and thin light sliver b.. 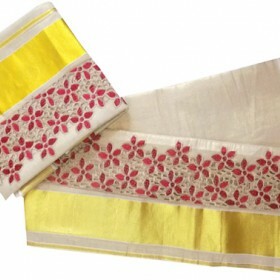 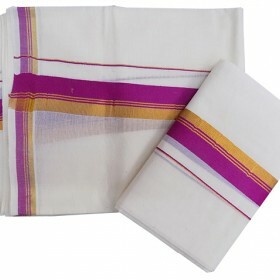 Simple cute Kerala kasavu pattu pavadai with off white color having golden kasavu and three different color red, white and golden circle like designed border on top, pavadai, on hand too. 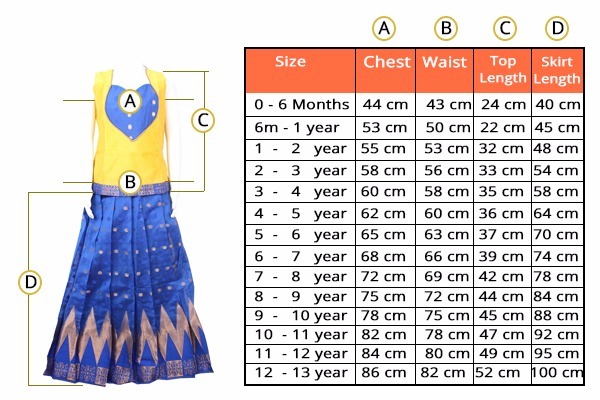 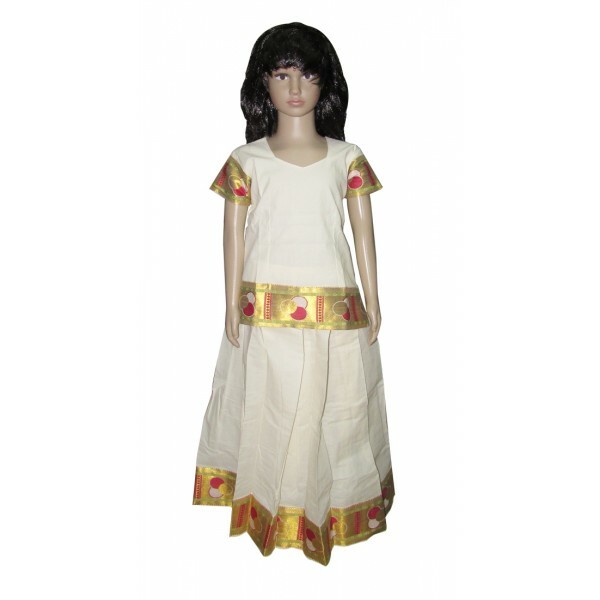 This is excellent simple model for your princess. 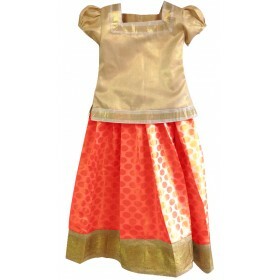 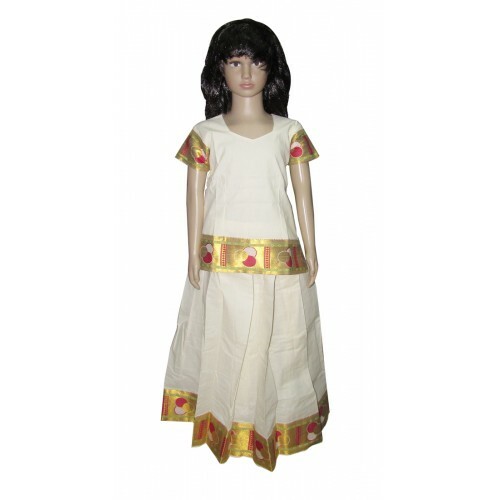 It can be used for any traditional function with matching jewel your little girls will be the best one.